Look for TEKFAB at FABTECH! 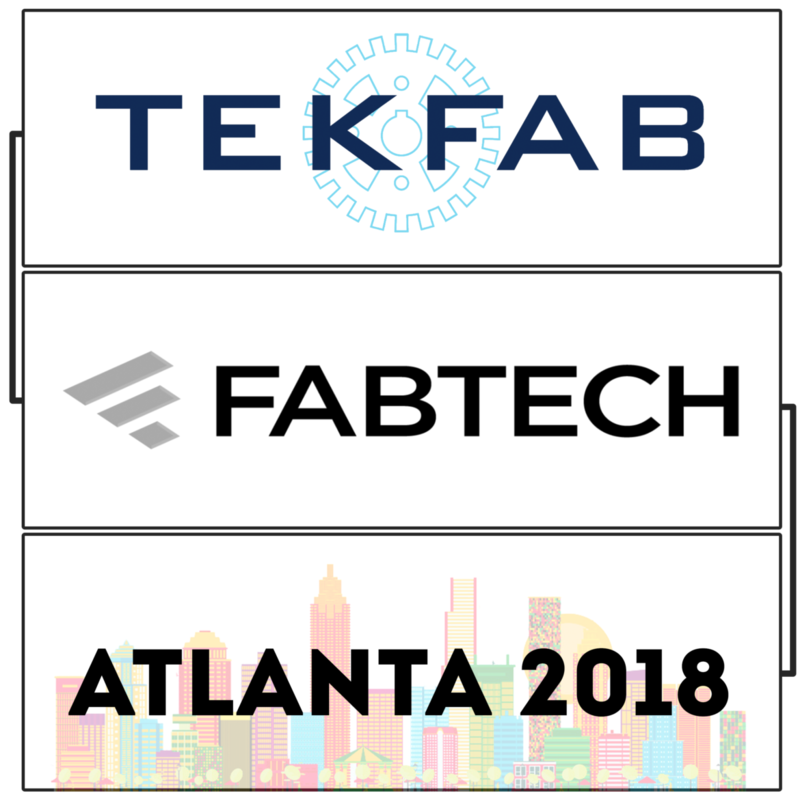 | TEKFAB, INC.
TEKFAB will be in Atlanta, November 6-8 for FABTECH 2018! Make sure to say hello if you see us walking around, we love seeing our friends and customers and to get the opportunity to chat face-to-face. We will stop by booths and say hello, but make sure to grab us whenever, and wherever you see us. We are looking forward to the trip to Atlanta and hope to make the most of it! See you there!